Airbus and Boeing went to Paris hoping for business. Boeing came away better by far. The Paris Air Show brings together airline representatives from around the world. Both manufacturers hoped to get a lot of new orders. 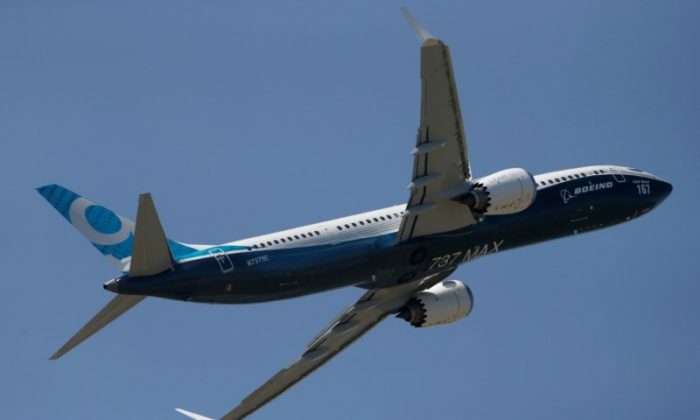 Boeing’s new 737 MAX 10 attracted 443 buyers. Boeing also sold 125 MAX 8s to one customer, and another customer switched orders for 15 MAX 8s to MAX 10s. Boeing claimed a total of 571 planes for the weekend. According to CNN, the sales were worth $74.8 billion. Is this a slower show than previous years, yes it is,” admitted Airbus CEO, John Leahy. “Are we conceding that Boeing sold a few more airplanes than we did, yes. We’ve got 42 percent of the market at the Airshow for the last three days, they’ve got the rest,” he said. Total sales for the weekend were almost double what the two firms did at least year’s marquee commercial air show, the Farnborough Air Show in the U.K.
Airbus is not conceding defeat long term. Most of the orders were for smaller, single-aisle jets: Boeing’s 737 and Airbus’ A320neo. Jumbo jets were not selling. Asian and Iranian airlines provided the bulk of the new orders. Iran is coming back from years under international sanctions. Iran chose Airbus as a supplier—but even the last-minute deal left the French firm far behind Boeing in terms of new business gained. Iran still needs to get international approval for its proposed purchases.